If you know me, you'll know I'm an absolute sucker for anything cute or kitch, I feel like Asian products were just made for me! 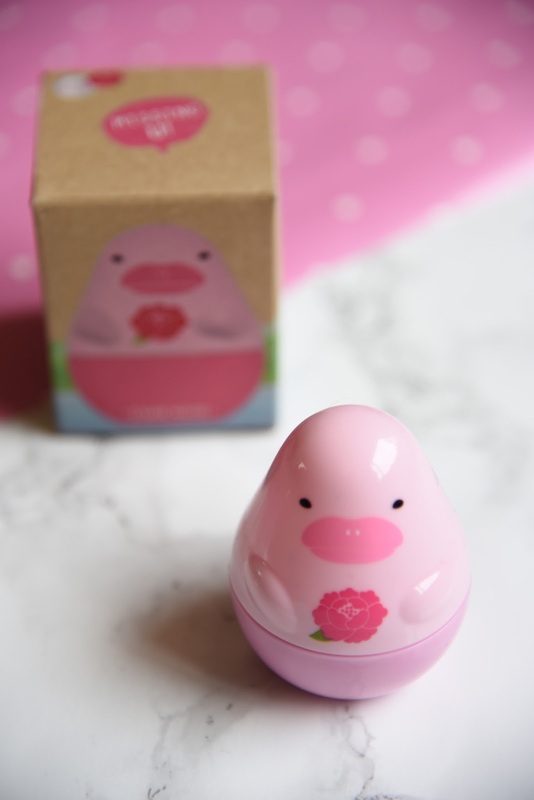 However I'm not the type of person who would buy a random beauty product just because it was cute, I feel like Asian beauty is an exception to that rule, we all know Korean skincare is some of the best in the world and the ridiculously cute packaging is just a bonus! I've dabbled in Korean beauty products before, mainly facemasks. We actually have an Asian beauty shop in Newcastle although it is a little pricey. 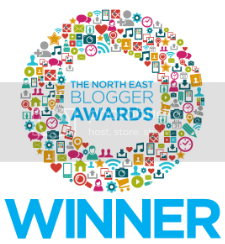 Cue TK Maxx! TK Maxx is one of my all-time favourite shops, I can always find amazing bargains there, I think it's a talent! 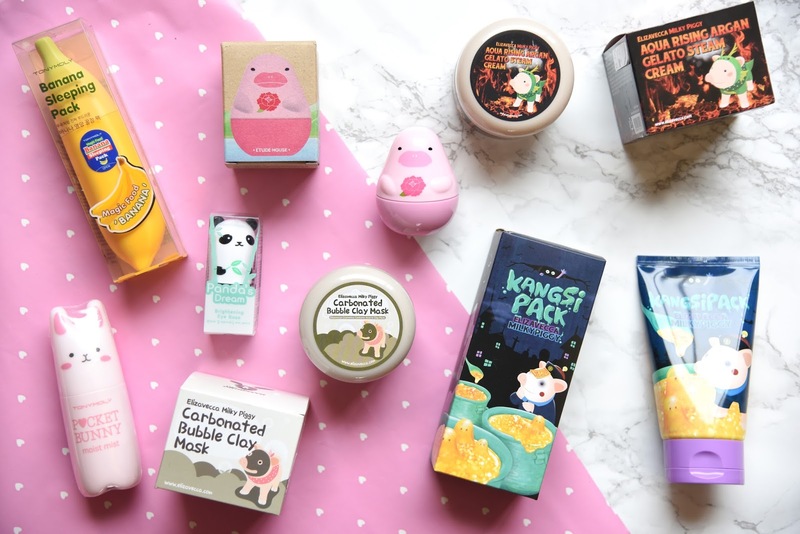 So while I was having a browse I came across a tonne of Korean skincare! I spent about £40 on 7 gorgeous products which for skincare I think is an absolute steal! 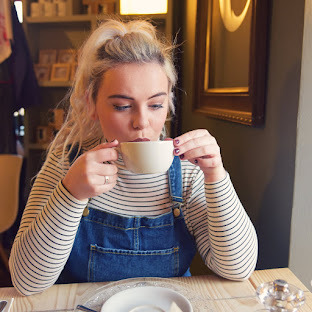 I've given these all a little try so I thought I would talk you through what I picked up and my first impressions and link them if I can find them online, but I'd highly recommend checking out TK Maxx, they've had a load of Korean products in recently! This mask is formulated with 24k gold powder extract, berry and herb extracts and hydrolysed collagen to give a luminous finish once the mask is washed off. I absolutely loved the look of this one and I picked up a few from the Milky Piggy range. Something I love about this mask is that it's gorgeous and gold in colour, over time the mask will turn white and when it does it's ready to wash off! This mask wasn't ridiculously tight on my face and my skin felt so soft after rinsing it off! How sweet is this little guy, although I do think he looks more like a duck than a dolphin...I love a good hand cream, I have to wash my hands a lot when I'm working so they can sometimes get a little dry. This guy has a lovely rose scent with a thick cream that doesn't leave a greasy residue, made my hands lovely and soft after just a couple of applications. This is probably the longest name of a product I've ever seen! I thought by the sound of it you would do something more specific with it, but the english translation on the sticker said to just use it as a cream as the last step of your nighttime skincare. This cream is super thick and comes with a little spatula. 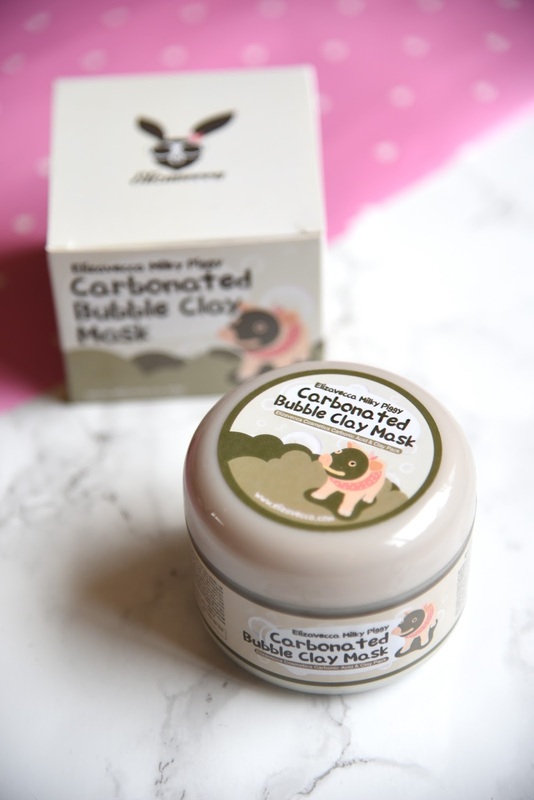 The scent is really nice and a little floral, the fire on the packaging did concern me a bit, but luckily my face didn't burn off and ended up feeling very soft! 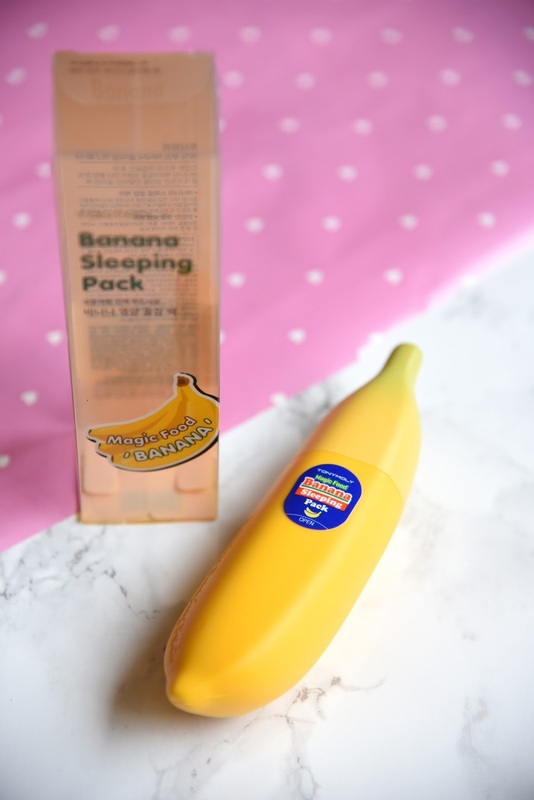 I've tried masks from Tony Moly before and loved them so when I saw this I knew I had to have it, also it's a banana! The scent of this is exactly like foam bananas which I love! They have a whole Magic Food range which I'll have to look into. This mask is one that you leave on overnight to soak in. It has a blend of chamomile and banana extracts for a deep moisturising effect. I thought this was really lovely, nice and soothing to apply and I woke up with super soft skin. So this product is a bit of a hybrid eye serum and concealer, it's a stick with a concealer brightening and nourishing effect. I absolutely love the panda packaging, I think it's super handy for travelling as it's really compact. The aim of this is just to banish those dark circles! I actually really liked this! The texture is super creamy but with the pearl extracts it illuminates too which really brightens up the under eye area. I've seen a few people try this out and it looked absolutely hilarious so I was so excited when I came across this in TK Maxx. This mask is deep cleansing and pore cleansing, it's made with charcoal powder and it unclogs and purifies pores. I don't really suffer with blocked pores so I can't really comment on how well it works for that. The texture is so strange, it really is carbonated, it's very thick and comes with a spatula to apply it. Once on it expands and bubbles so you end up looking like the moon from The Mighty Boosh, seriously watch LLMLRS on YouTube. It's such a weird sensation and really crept my boyfriend out! But my skin felt so so soft afterwards, I'd definitely recommend giving it a go, even just for the laughs! I absolutely love face mists, I love how refreshed they can make you feel, I couldn't leave this little guy behind! 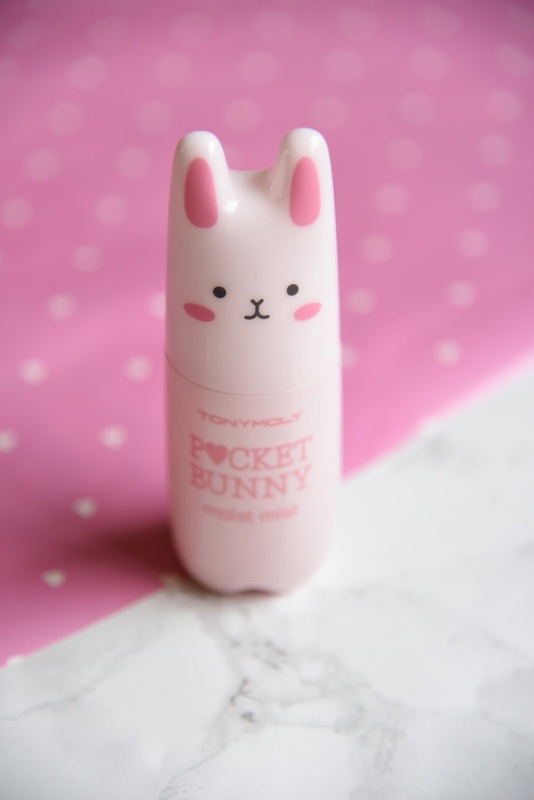 He's so cute and I think this compact little spray would be great for on the go. This moist mist is all about hydration and is made with raspberry, strawberry, peach and boaob tree extracts. I really like this, it does leave your skin feeling hydrated, the scent is lovely too. 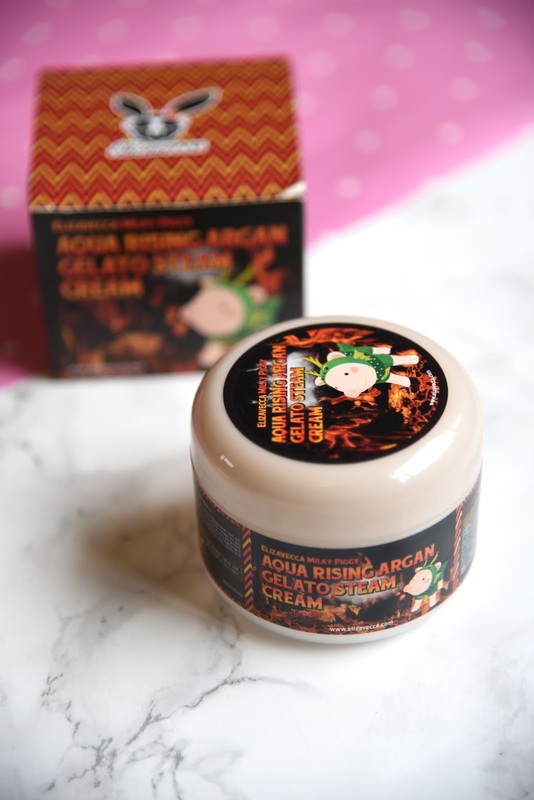 What are your favourite Korean skincare products? Korean skincare is something I really want to try, as I've heard great things - the panda dream brightening eyebase is so cute!